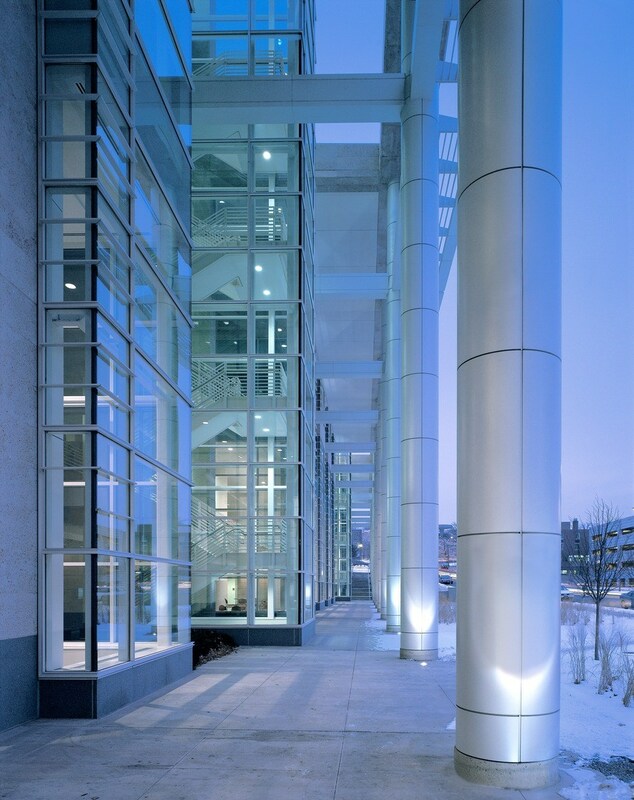 The Orville L. Freeman Office Building is a state-of-the-art collocation of two Minnesota Departments, with the goal of stimulating opportunities for shared information, knowledge and facilities. 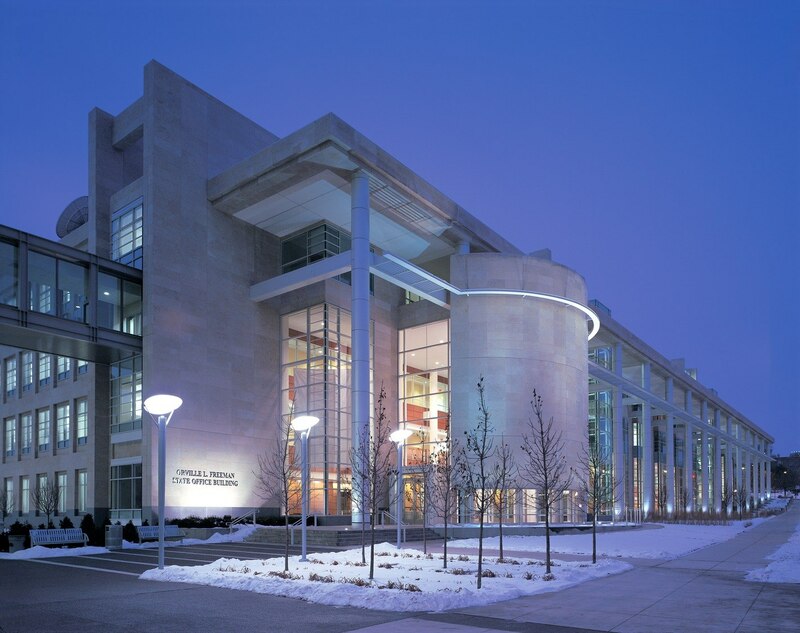 The architecture reflects a civic and governmental role as the public face of two dynamic public agencies in an office environment that is both humane and uplifting. 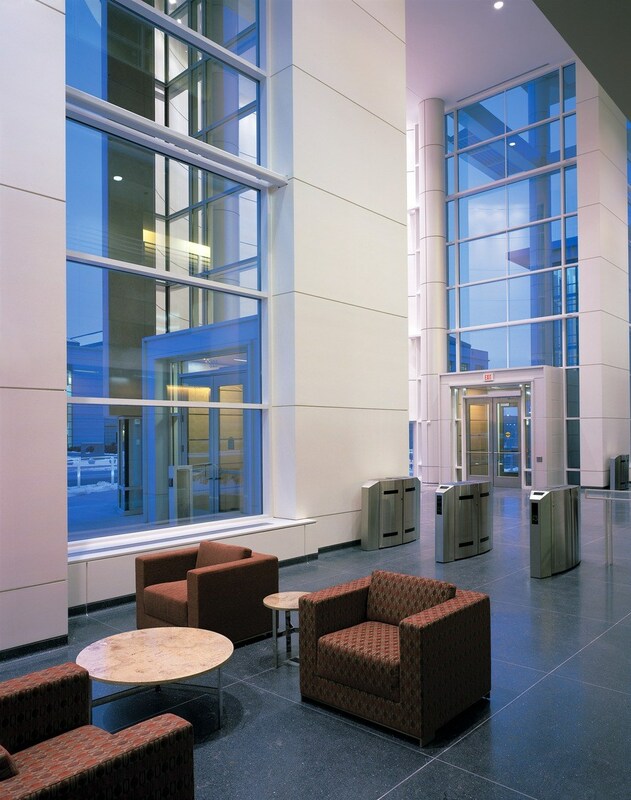 Connected to the adjacent Laboratory building via a skyway and plaza, the building includes a cafeteria and conference center, as well as multiple “Neighborhood Centers” that promote interaction between the two agencies and eliminate decentralized equipment and supplies. 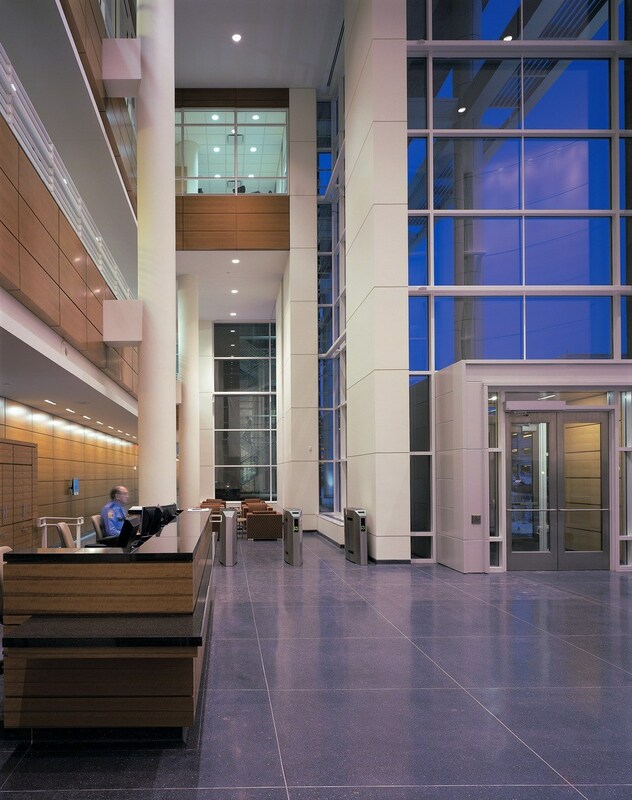 The complex follows the Minnesota Sustainable Building Guidelines-Buildings, Benchmarks & Beyond (MSBG-B3) and LEED® standards to achieve sustainable goals. HGA’s Telecommunications Design Services Group teamed with the IT teams from the Agriculture and Health departments to design an advanced telecommunications and information technology environment that spans the office and lab facilities and supports the State’s objective of stimulating opportunities for shared information, knowledge and facilities. The 325,000-GSF office building, housing approximately 1200 staff, feature a unified telecom infrastructure that incorporates an integrated cabling and wireless local area network. HGA collaborated with the Agriculture and Health teams to create design drawings, write specifications, evaluate bids and make the vendor selections for cabling, network hardware and IP Telephony solutions.